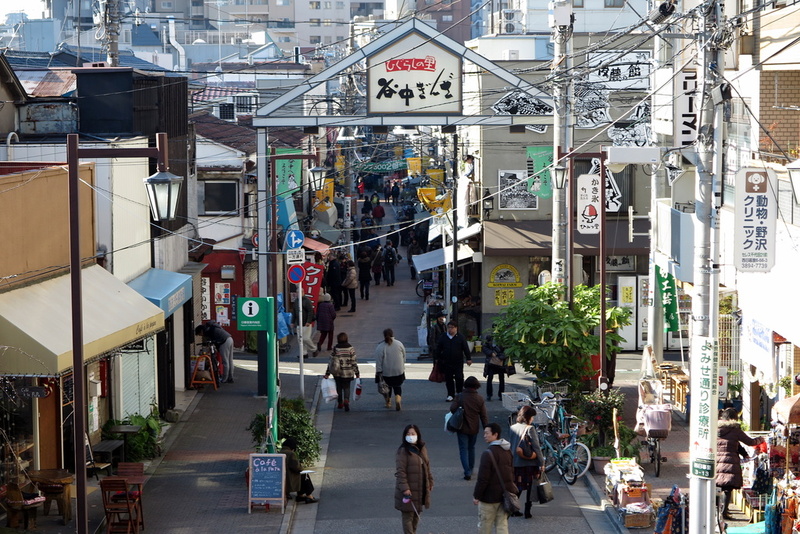 Yanesen is not the name of one neighborhood, but a name that indicates an area located just north of the famous Ueno Park, and includes three small areas neighboring each other: Yanaka, Nezu and Sendagi. This not a very popular area, it isn't even mentioned by some tourist guides. In my opinion they are very interesting, especially for those interested in the "quiet Tokyo". It is in fact one of the few areas of the city that didn't suffer damage during the bombardments of World War II and so you can still find (few) buildings dating from before the war. The few guides that talk about this area refer to that area which starts from Nippori station. Actually, an interesting road to walk down is also that one that connects Nippori station with the next station of the Yamanote line, that is Nishi-Nippori station, where you can find, one after the other, some small temples and shrines. Instead of starting your itinerary to discover Yanaka from Nippori station, you could begin from Nishi-Nippori, reaching Nippori station on foot. A fairly large area of this zone, right west of Nippori station, is occupied by the Yanaka Reien, an ancient cemetery, which also houses tombs of famous artists and actors, in a surreal, silent, "meditative" atmosphere, whose streets are surrounded by cherry trees that bloom in spring and lose their leaves in fall, giving in both seasons a special touch to the place, and are inhabited in every season by big and mysterious cats. 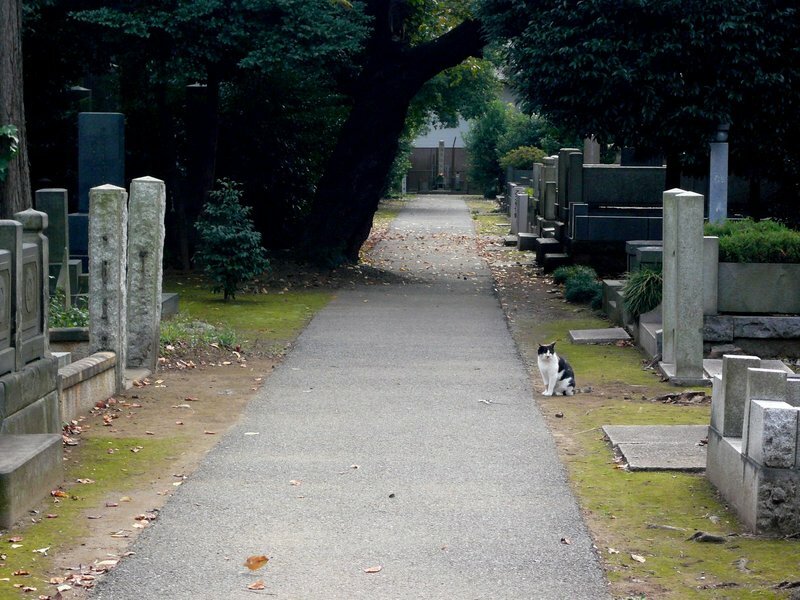 In this cemetery lies also Tokugawa Yoshinobu, the last shogun of the Tokugawa dynasty. 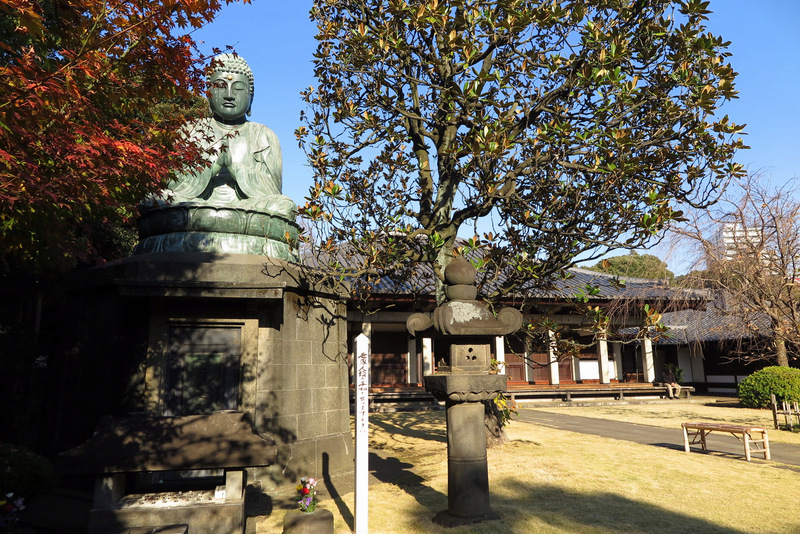 In the surroundings of the cemetery you can visit several small temples, in particular: Tennoji Temple, the most important temple in the area, founded in the thirteenth century and partially destroyed during the civil war of 1868. On that occasion only two buildings survived, the pagoda and a large statue of Buddha in bronze. In 1957 the pagoda was destroyed too, due to an arson in which a young couple committed suicide (Arson case), therefore the statue of Buddha, known as Tennoji Daibutsu, is the only evidence of the ancient temple. The other buildings have been reconstructed, with the exception of the pagoda, whose ruins can be still found near the temple. 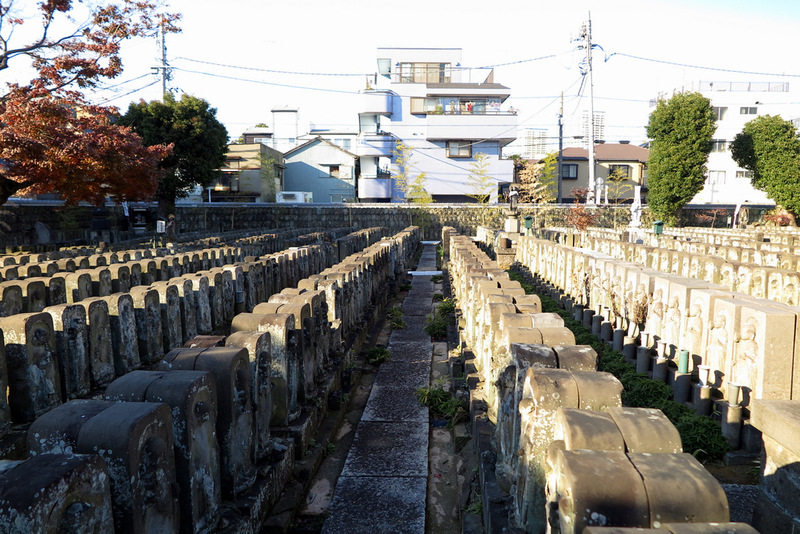 Jomyoin temple, a modern temple whose buildings have nothing interesting to say, but in its garden you can admire 84000 statues of Jizo, that according to the Buddhist tradition represent all those those children died during pregnancy, before they were born. The best thing to do in this area is walking around, discovering its narrow streets, shrines, ancient wooden houses, craft shops of tatami, kimonos, tofu, particularly along the Yanaka Ginza, a shopping street 150 m long with about 70 shops, with particularly low prices especially for street food. Among the many temples and shrines of the whole area, one is much more famous than the others, the Nezu Shrine, built in 1705, also famous for a celebration of azaleas bloom from mid April to early May. Last but not least, I point out a small museum, the Asakura Sculpture Hall, an old house that is already in itself an interesting example of traditional Japanese architecture, once a workshop of the sculptor Fumio Asakura, which now houses many of his works inside. In this area there are some family-run cheap ryokan. This area is not so good for daily travels to the other areas of the city, in fact you have to do at least one change to reach many important places, but in the area there are 3 metro stations. The most negative aspect is that there's nothing and noone at night, so you always have to move somewhere else and be careful to go back before metro closing time, unless you want to go to bed immediately after dinner. I personally recommend the Sawanoya ryokan. The the most important station is definitely Nippori station near the Yanaka cemetery. It is served by the JR Yamanote line, Keisei trains to the Narita airport, the JR Keihin-Tohoku Line connecting Saitama and Yokohama passing from many areas of Tokyo such as Ueno, Akihabara, Tokyo Station, Shinagawa and Shinbashi. Nezu station and Sendagi station are two consecutive stops of the Tokyo Metro Chiyoda line. Anyway, Yanaka, Nezu and Sendagi can be all explored easily on foot, regardless of the station where you get out. With a good sense of direction you can get to this area also on foot from Ueno station crossing the whole park.